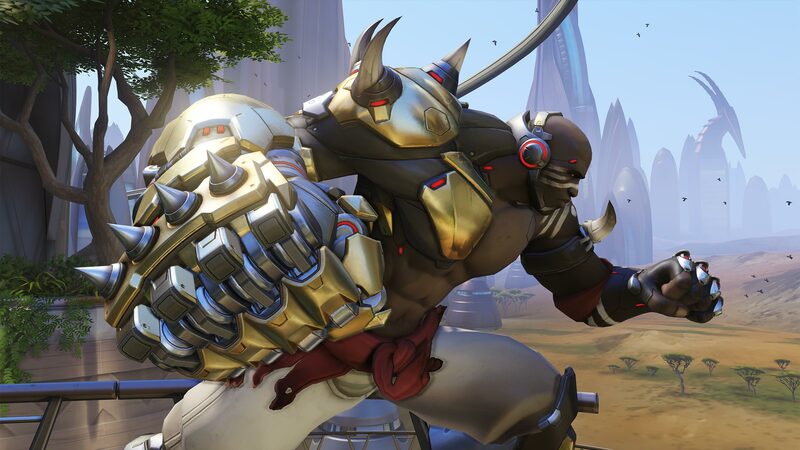 You already know that Doomfist is now playable on the Overwatch PTR, but it’s worth posting the patch notes anyhow. After what seemed like an entire year of hints, references, rumors and teases, Blizzard finally gave fans the new playable hero Doomfist today. Or villain, depending on how you look at such things. While we covered Doomfist rather extensively in the announcement post, he’s also mentioned in today’s Overwatch PTR patch notes. As promised back in June, Blizzard is continuing its work on reducing duplicates in Loot Boxes, so if you didn’t bother with the last PTR update, you’ll receive five, standard PTR Loot Boxes to play around with today. As usual, these items won’t carry over into the live game. The Overwatch patch notes haven’t changed much since the June 22 PTR update, but there were a few new entries added to the list, other than Doomfist of course. We’ve posted the additions below, and what we excluded can be found through the link above. Doomfist’s cybernetics make him a highly mobile, powerful frontline fighter. His primary attack is the Hand Cannon; this four-shot weapon fires projectiles from Doomfist’s knuckles one a time or in a single blast. With his secondary attack, Rocket Punch, he charges forward and delivers a devastating blow, knocking back any opponent it connects with and dealing extra damage if the enemy is hurled into a wall.